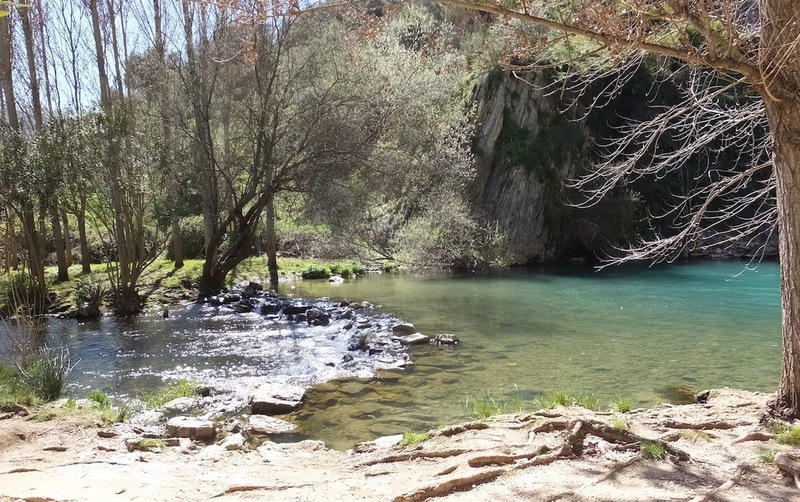 A range of driving tours with a native English-speaking guide to explore the beautiful landscape and sites of interest near Ronda. 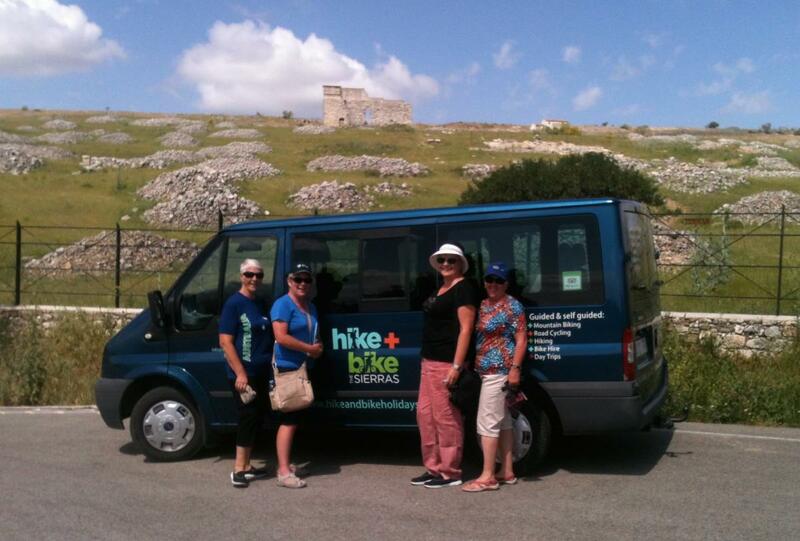 Each tour takes you in our air-conditioned minibus or Freelander 2 to visit some of the most renowned and beautiful sites in the Ronda area. Tours lasts 4-5 hours, with plenty of time to enjoy the views, take photos and breathe in the atmosphere of the Andalucian countryside. Choose from 3 perfect tours below - Bodega Tour, Caves Tour or White Villages Tour (see detailed itineraries below) or we can create a bespoke tour for you. 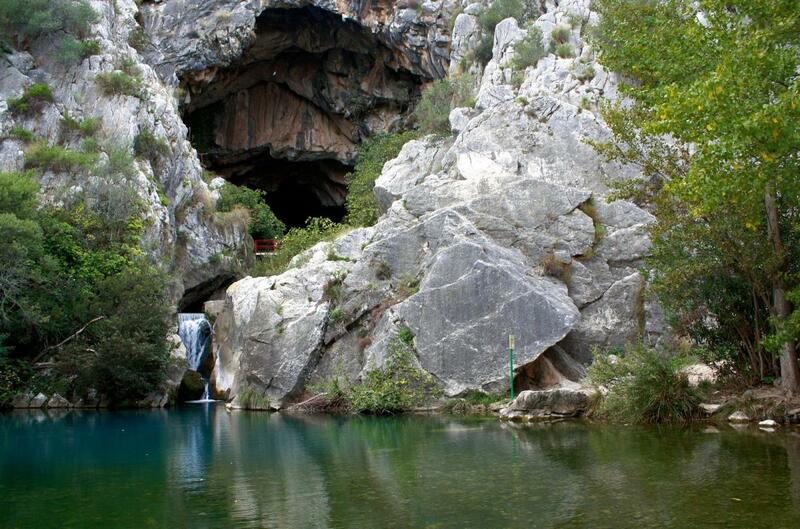 Wonderful Caves Tour which included the Roman ruins, Cueva de la Pileta, and Cueva del Gato. Heather picked us up at our hotel in an air conditioned mini van. Friendly and knowledgable, she took us to the sites with easy conversation about the sites as well as life in Spain. Conversations flowed easily from topic to topic, always happy to engage to our various inquiries. Great deal for 55 euros each! 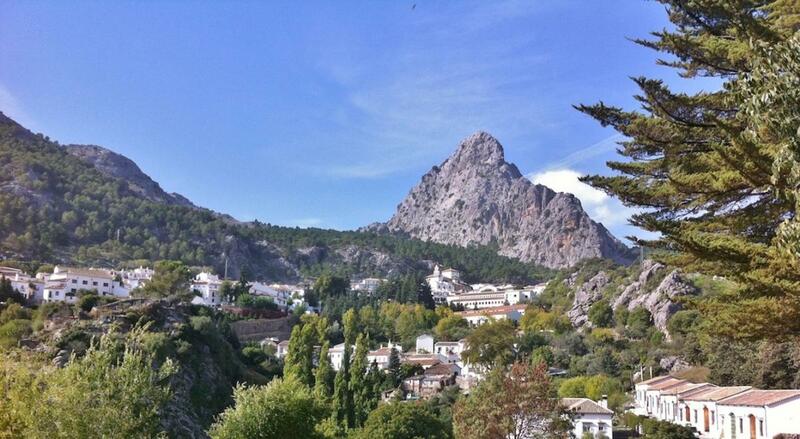 Great way to see the sites in hot Ronda. 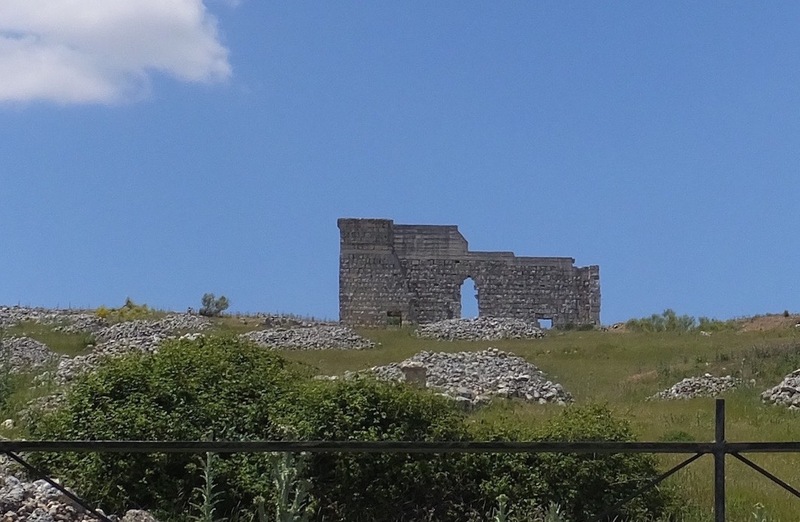 We drive up into the hills near Ronda, past vineyards and wheatfields, to the ruins of the Roman city of Acinipo. It was built more than 2,000 years ago to house retired soldiers - though how many actually lived to retirement age is a common question! 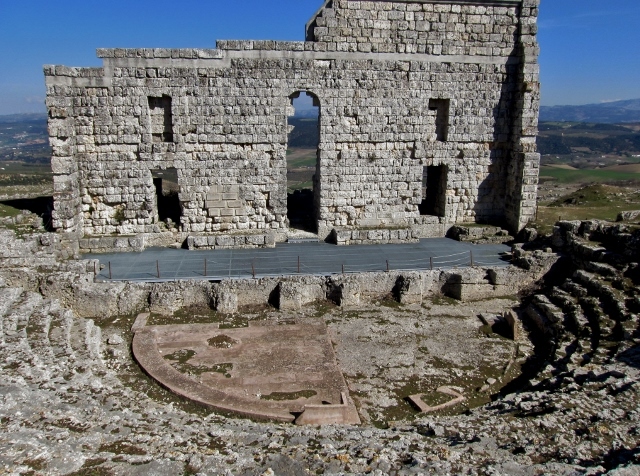 We take a short walk up the hill to the partially re-built remains of the Roman amphitheatre (originally large enough to seat 2,500 people) and enjoy amazing views from the top of the escarpment across the valley below. 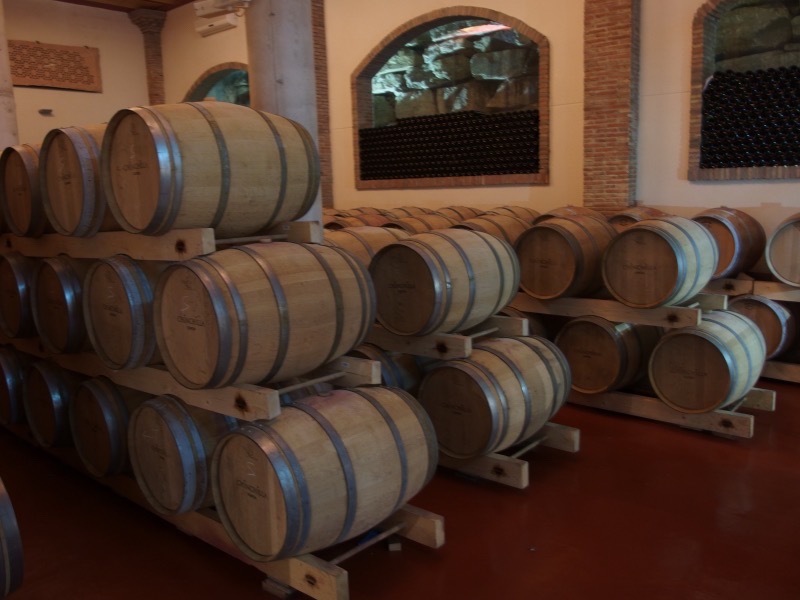 At the nearby Bodga Doña Felisa, we take a short guided tour of the vineyard, production rooms and cellar. 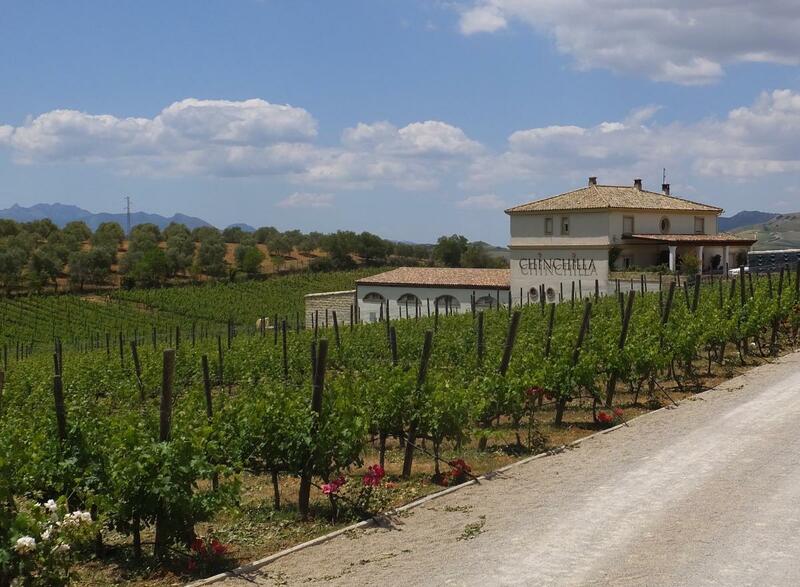 This is one of Ronda's largest vineyards, producing wines under the main house name of Chinchilla. 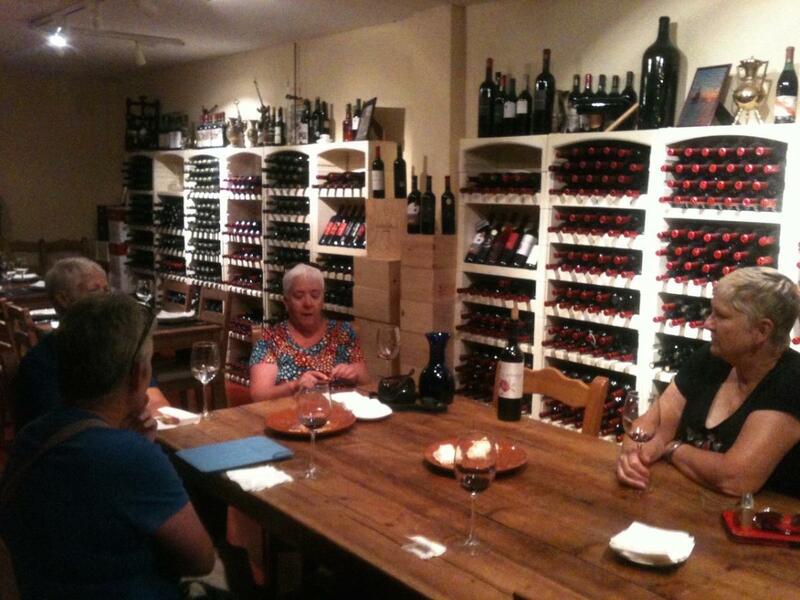 The tour finishes with a wine tasting, accompanied by delicious home made tapas. Driving on through the mountains, we make a short stop at the Cueva del Gato ("Cat Cave" - so named after the supposed shape of the cavemouth). This local beauty spot features a year round waterfall which cascades into a crystal clear pool of water - the water has just travelled through 8km of limstone caverns beneath the mountains so is extremely cold!! 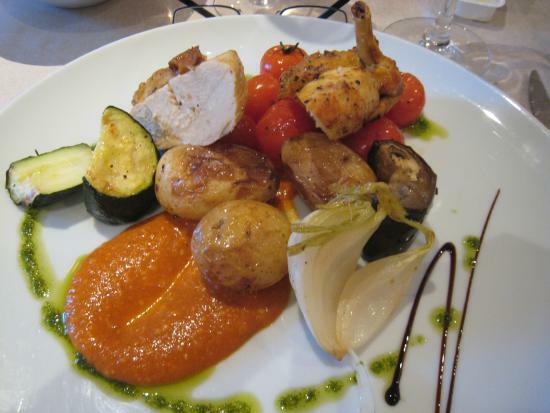 From here, return to Ronda or you can choose to have lunch at the nearby Hotel Molino del Santo and return to Ronda by train. Continuing on into the mountains we head to the Pileta Cave. 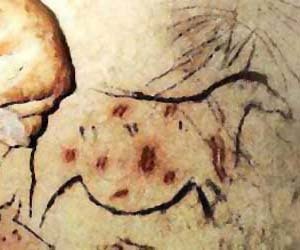 Your hour-long guided tour here is with a member of the family who originally discovered this cave system on their land. 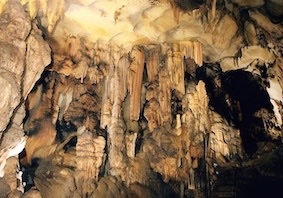 It is decorated with 25,000 year old cave paintings and filled with wonderful stalactites and rock formations. Please note: there is a steep stone step climb to the entrance of the cave and inside the caves can be a bit wet and slippery. 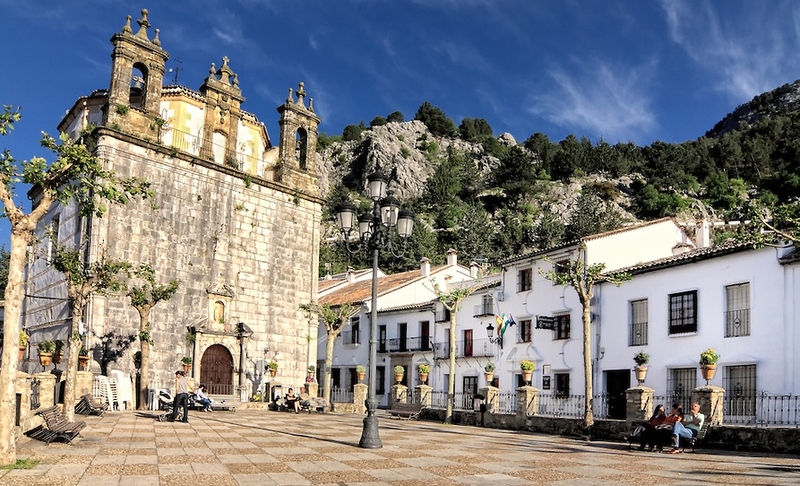 From Ronda we head to the white village of Grazalema, nestled into the craggy mountains of the Sierra del Grazalema Natural Park, and once the site of a huge textile weaving business. Whilst only one (partly) functioning weaving mill remains, the smart houses which belonged to the former mill owners still line the narrow white streets, lending Grazalema a rather more grand feel than most other white villages. The village still holds annual bull runs, where bulls are "encouraged" to chase foolhardy runners around the plaza and up and down the narrow streets. 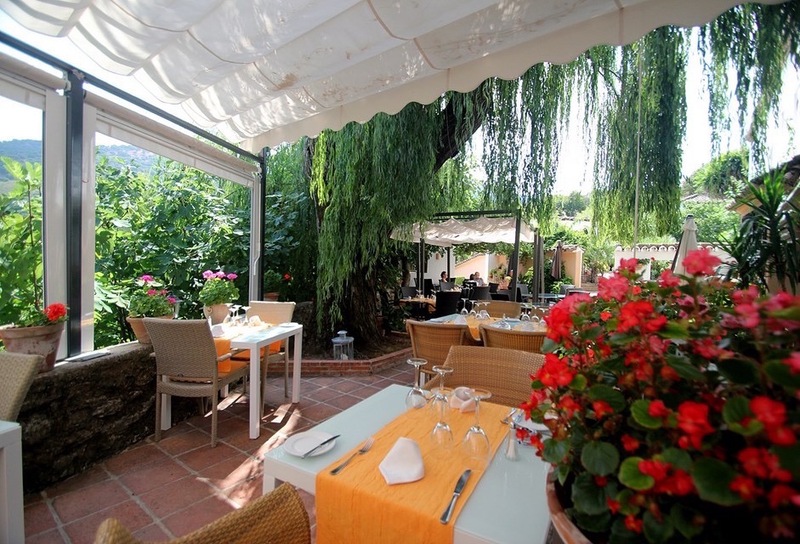 Without the bull running, you can take a pleasant walk around this calm and tranquil village, enjoy refreshments in a cafe by the plaza and take in the fabulous views across the valley below. We then drive up a narrow, twisting road which winds up through the mountains to the top of Las Palomas Pass at 1,357m above sea level. 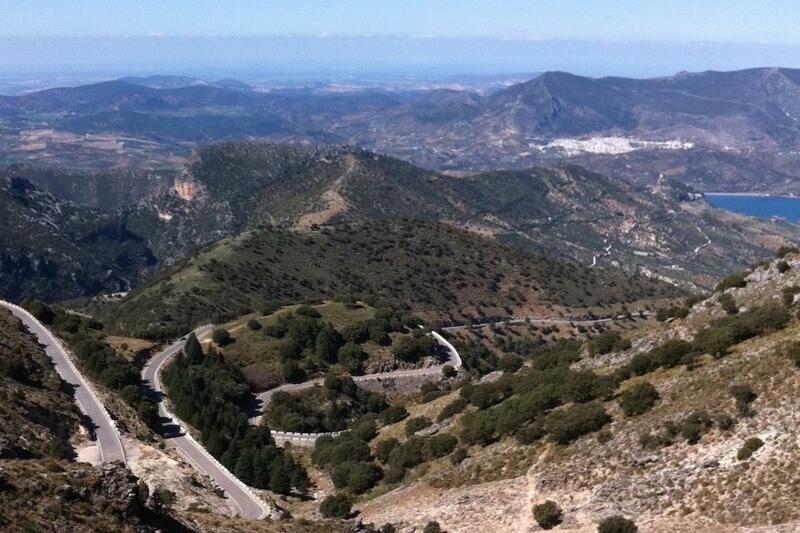 Here we make a brief stop to take in the huge vistas of three Andalucian provinces - Cadiz, Málaga and Seville. 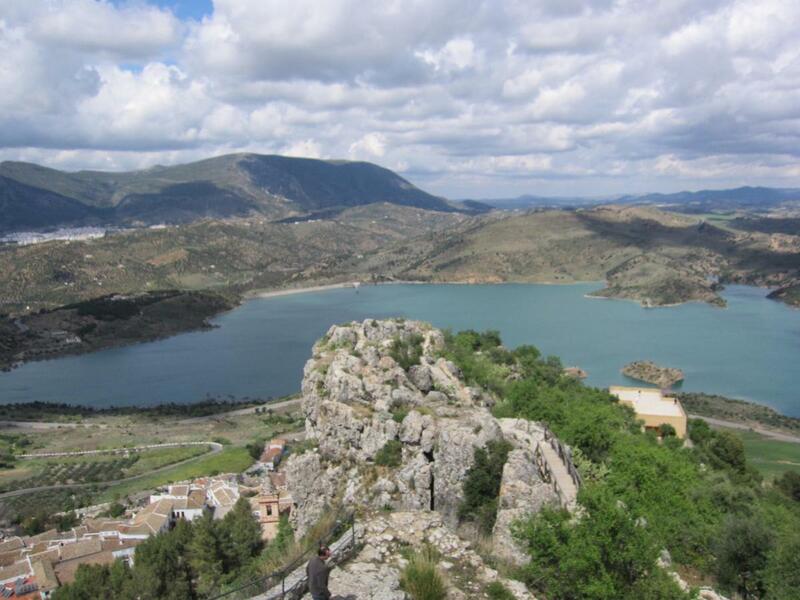 Then it is down to the villlage of Zahara de la Sierra, a charming white village overlooking a beautiful blue lake, before returning to Ronda. to book a minibus day trip. 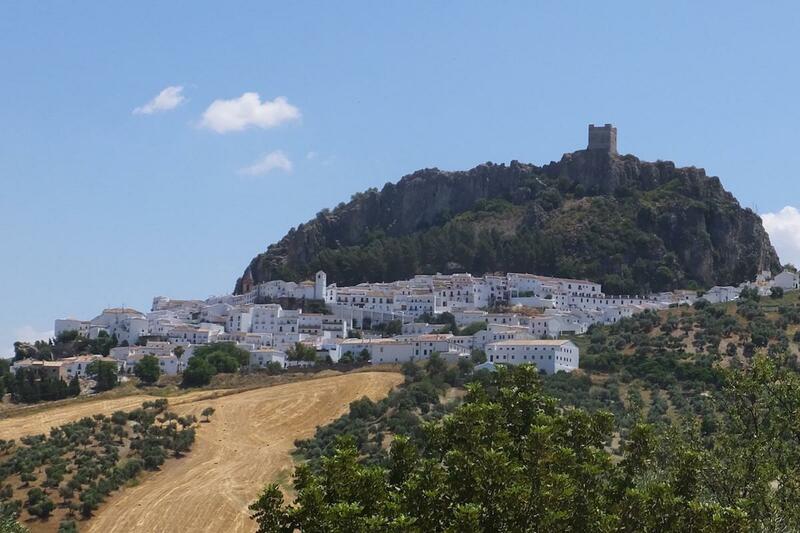 Meanwhile, please take a look at some more photos from our Bodega Tour and Bespoke White Villages Tour - Acinipo, Setenil de las Bodegas Zahara de la Sierra, Grazalema, Montejaque and Cueva del Gato.